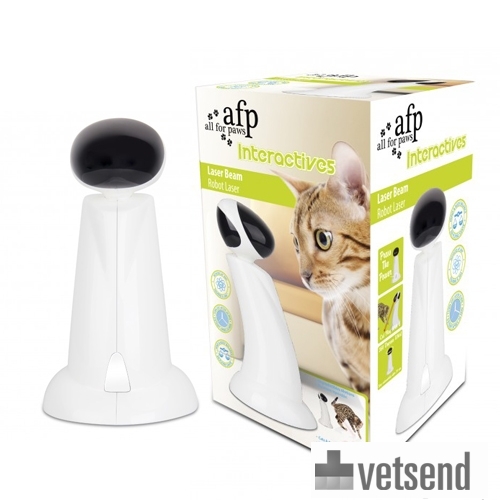 The All For Paws Laser Beam will keep your cat entertained for hours. The special design of the laser can automatically rotate 360 degrees, so it has a lot of different movements to keep your cat guessing. The laser provides plenty of exercise as the cat hunts the laser beam, and helps your cat focus for long periods of time. Automatically switches off after 10 minutes of inactivity. Length 16.6 cm, width 15.0, height 28.1 cm. The AFP Interactive Laser Beam requires three AAA batteries, which are not included. Have you used AFP Interactive Laser Beam before? Let us know what you think about this product.